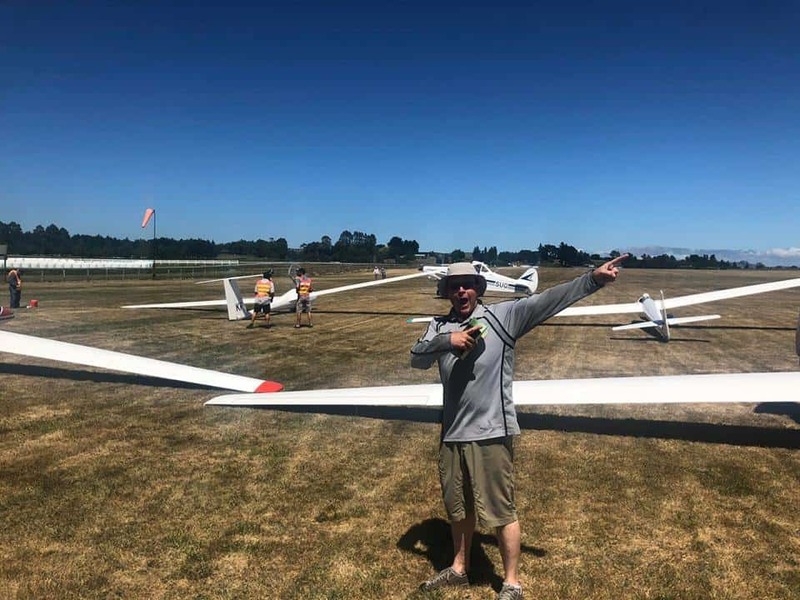 Final day’s of Club class Nationals in N.Z. and Horsham. 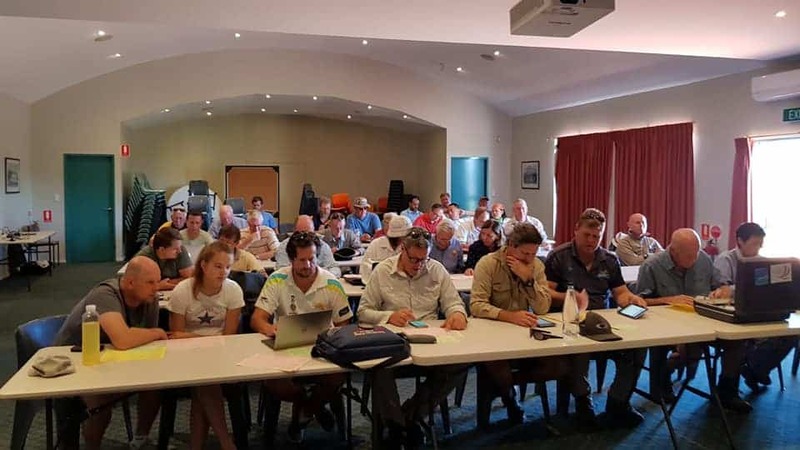 Start of 2-Seater class in Narromine. 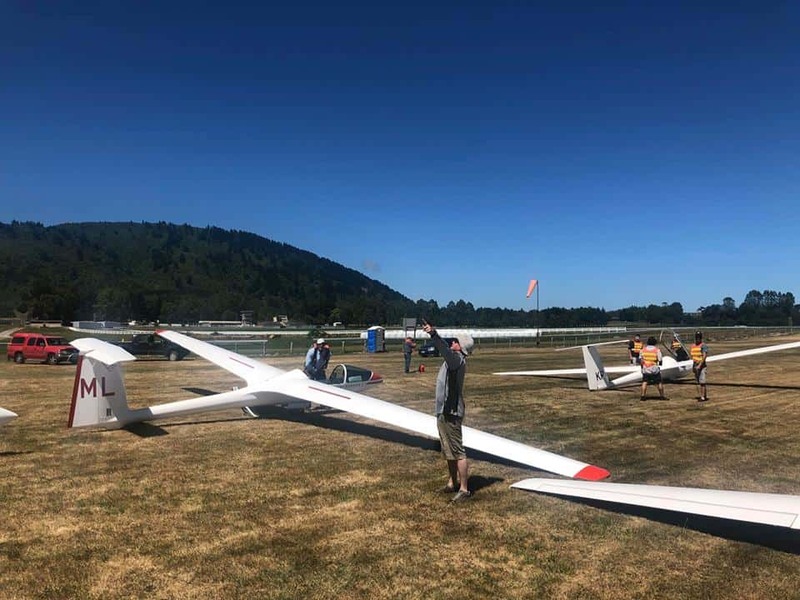 New Zealand Club Class National Gliding Championship 2019. 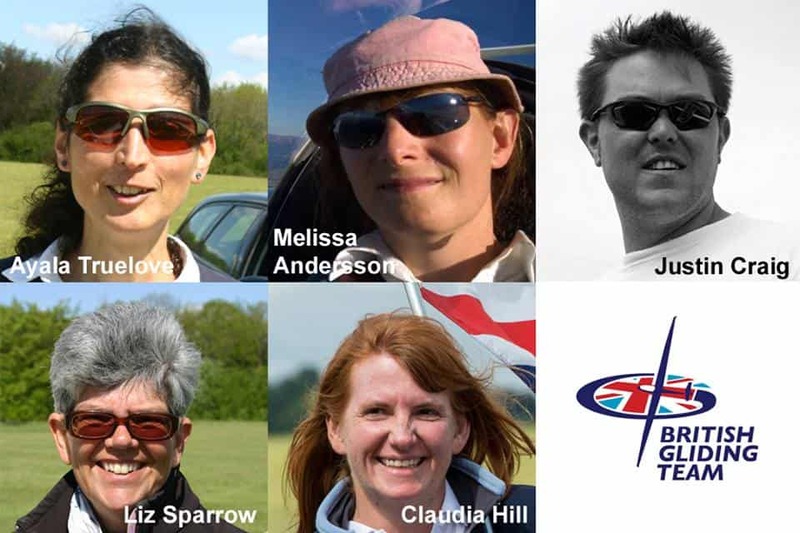 Club..2.30 AAT; AND,….only 1 pilot from 9 finished!!! Tim [Bromhead] in his DG 300.He flew 182 km. with a speed of 55 km./h, so a hard working and character building-day , but well deserved 545 points for him. Tom still leads with 6.116 points, then Mike with 5.673 and Steve with 5.505 points. Less excitement here as in the other class, but you never know. INDEED!!!!! Combi..2.30 AAT; and huge differences in start times. Some left at 1.35 PM others like Keith at 2.39 so an hour difference in looking at the weather in different way’s. 4 Finished, but not Sebastian ,he was the first to be “out” after 226 km. Daily winner Patrick [Driessen] in his JS 1; 308 km. in time 3.51. Also in , Keith and the Taupo ARCUS and,…an LS 6 C with 206 km in time 3.19. Good on David Moody !!! Sebastian still leads with 6.309 points with Keith on 2 with 6.257 and Patrick on 3 with 5.344. Interesting to see what will happen, as it is between these 3 pilots, who will be on spot 1 in the end. Courtesy Sebastian who had time to make this great picture as well. Not far from Roturua where I was as well and looked in amazing at the boiling mud. Club..3 hour AAT; Tim seems to be in a winning flow,…he won again already his 4th win; 289 km./in time 3.08. Steve and Mike “hang in ” on spot 2 and 3 . 6 Finishers and 4 out. Nothing changed in the top 3. Combi..3 hour AAT; The toppers all started at the same time, but not finished at the same time. Difference in speed between number 1 and 5 was 114.05 for 91.50 km./h.. The first speed was from Sebastian, the last one from Patrick, which meant in points a loss of 250 p. on Sebastian who won the day with 346 km. Patrick had 314 km. In between Keith as runner up with 344 km. Nothing changed in the top 3. Day 13..task 12; In fact they had 9 out of 13 valid day’s. So PERFECT. What was more perfect was the influence Sebastian seems to have had on the spirit of pilots during the week. 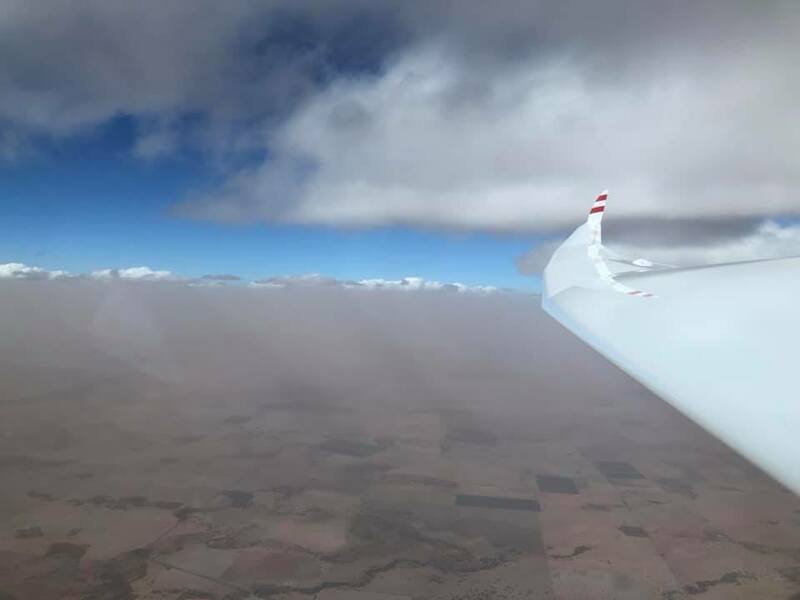 “It has been such an inspiration to so many of us gliding kiwis to have the world champion here flying with us and giving his time so generously and graciously to help those of us still struggling to learn the mysteries of the skies and how to use them. 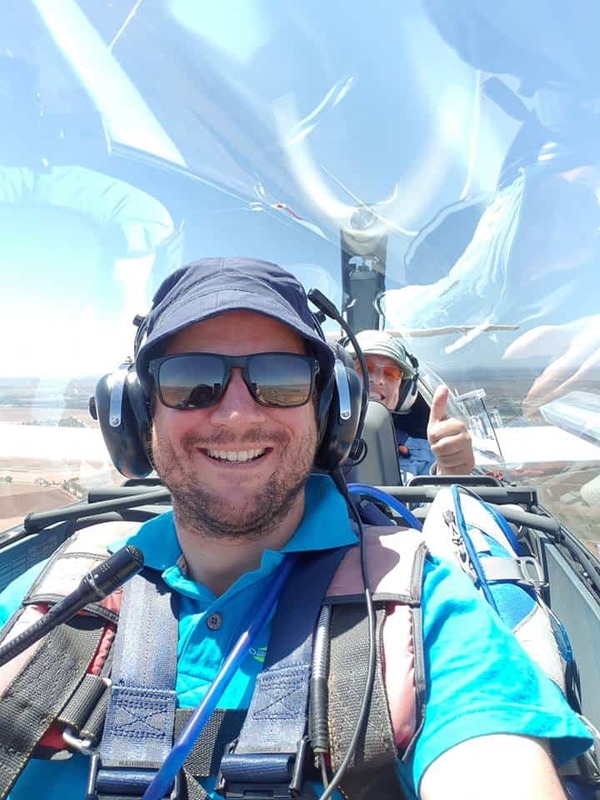 So thank you, Sebastian, you have made a huge difference to our little part of the gliding world. Combine that with a flying visit from world record holder Terry Delore, and we have certainly been given plenty to aspire to over the last two weeks!” as said /written by Hugh de Lautour . Club..3.30 AAT; So a nice long task to even more separate the boy’s from the men. 2 Pilots flew just over 100 km./h. GOOD!!! Daily winner Mike and Mark in the Libelle. Mike flew 353 km in time 3.29 and Mark even 399 km.in 3.58 but with a “little” punishment for airspace. Tim who had 389 km. had a red sign behind his name as well. AND nearly lost 600 points on this last day, 4 too much!!! Tim who was 600 points ahead on the last but one day, just lost his first spot overall. It’s only over after the last finish. Overall scores after 9 valid [day 1 had great distances but all for zero points] and good day’s !!! 1. Michael “Mike” Strathern in ASW 20 with 7.535 points. 2. Tim Bromhead in DG 300 with 7.531 p.
3. Steve Wallace in Mosquito with 7.440 p.
Mark Wilson in the Libelle stayed on spot 4 with 6.920 p.
Combined class..3.30 AAT; And also in this class the “airspace-disaster” struck. Patrick won the day with 439 km. in time 3.31 so a nice speed of 124 km./h. for 984 points. Sebastian was runner up with a few kilometers AND minutes more.But Keith only got 500 points for the airspace infringement, whilst he flew 439 km. with a speed of 125 km./h. He will scratch himself behind the ear, though he stayed on spot 2. 1. Sebastian Kawa in Duo Discus with 8. 254 points. 2. Keith Essex in ASG 29 with 7.720 p.
3. Patrick Driessen in JS 1 with 7.251 p. Just to let you know; Patrick did not fly task 8. Continued with better weather again and for that reason longer tasks on February 7. 15 m./standard..3.45 AAT; Another win for Rolf [Buelter] who flew in his LS 8 305 km. in time 3.42. Tim [Shirley] was a good runner up, though “he found it a tough day in the office” . open..4 hour AAT and John [Orton] in his ASG 29 won the day with 369 km.in time 4.04. Only 4 from 8 finished. club..3.30 AAT; Only 4 from 12 finished and the daily winner was Craig [Collings] in his ASW 20 from the Mount Beauty Gliding club;341 km. in time 3.51. Gary [Stevenson in Discus 2 ] still on 1, with Bruce [Cowan in Ventus 1] now on 2 and Rolf on 3. 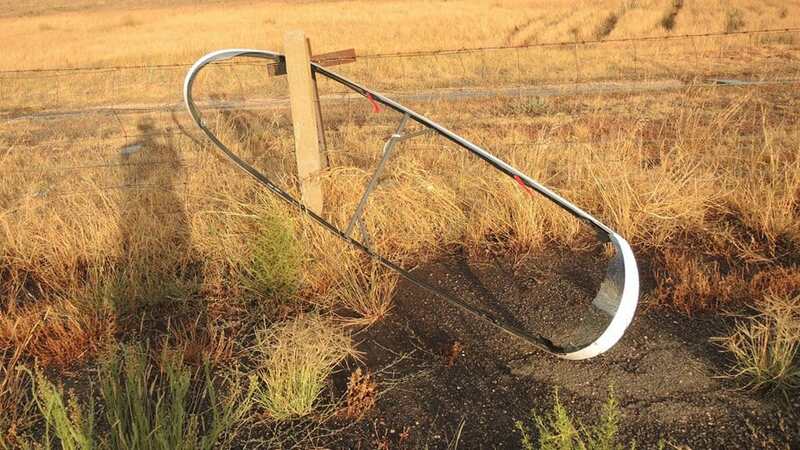 Open… 239 km; With 129 km./h Craig Vinall raced over the circuit in his ASG 29E. John and Mike on his “tail.” So nothing changed in the top 3 with 1 day to go. On 1. John, 2 . Mike and 3. Craig .Diana is on 4 good on her. Club…204 km;Steve [Jinks] From the Beaufort Gliding Club in the St Cirrus won the day. Craig was runner up and Ailsa’s dad Alf McMillan was 3d in the LS 4. Excitement enough in this class for the last day as the overall scores are close between Craig and Jaroslaw, just over 50 points. TASK 8 last day!!! NO task!!! A pity so the scores stay as they were. 1. Gary Stevenson in Discus 2 3.520 p.
2. Bruce Cowan in Ventus 1 with 3.364 p,. 3. Rolf Buelter in LS 8T with 3. 335. p.
1. John Orton in ASG 29/18 m. with 4.181 p.
2. Michael “Mike” Durant in Jantar 1 with 3.906 p.
3. Craig Vinall in ASG 29E/18 m. with 3.866. 1. Craig Collings in ASW 20 with 3.772 p.
2. Jaroslaw Mosiejewski in PIK 20 B with 3.717 p.
3. 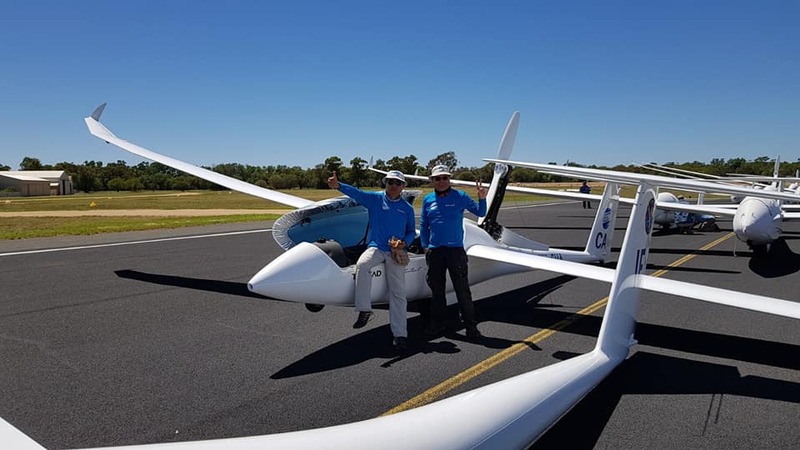 Steve Jinks in St Cirrus with 3.317 p.
2019 AUSTRALIAN 20m. TWO-SEAT NATIONAL CHAMPIONSHIP. They started on Sunday and go till February 16. 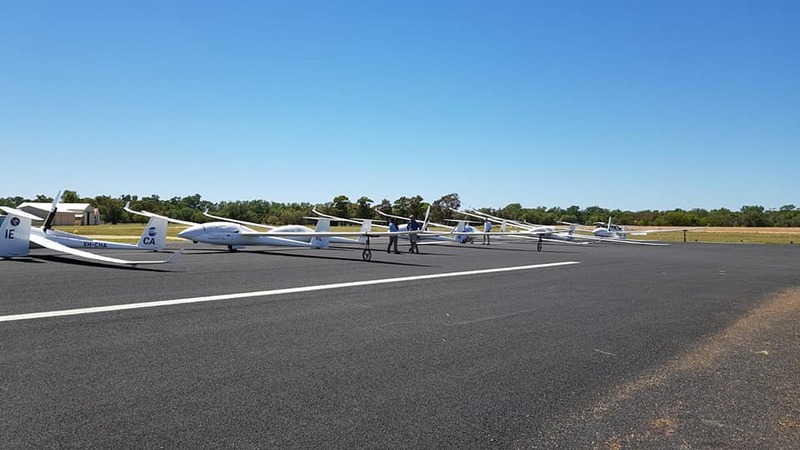 13 Teams in gliders as ARCUS M, Duo Discus and DG 1001-club. Among them long time friends as father Brad Edwards and his son , Miles Gore Brown and a mate, Harry Meddlicott and Allan Barnes, Andrew Georgeson and Steven McMahon and I noticed Czech topper Tomas Rendla on the list and young Adam Woolley with Keith Gateley. 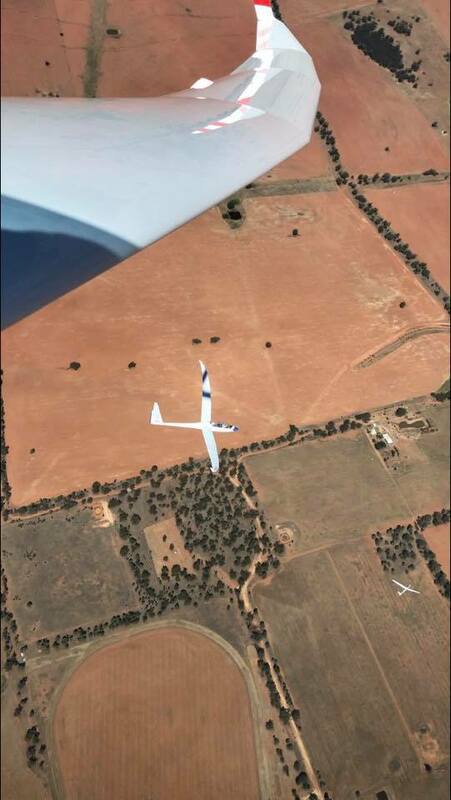 Keith arrived last Thursday in Narromine with the glider. 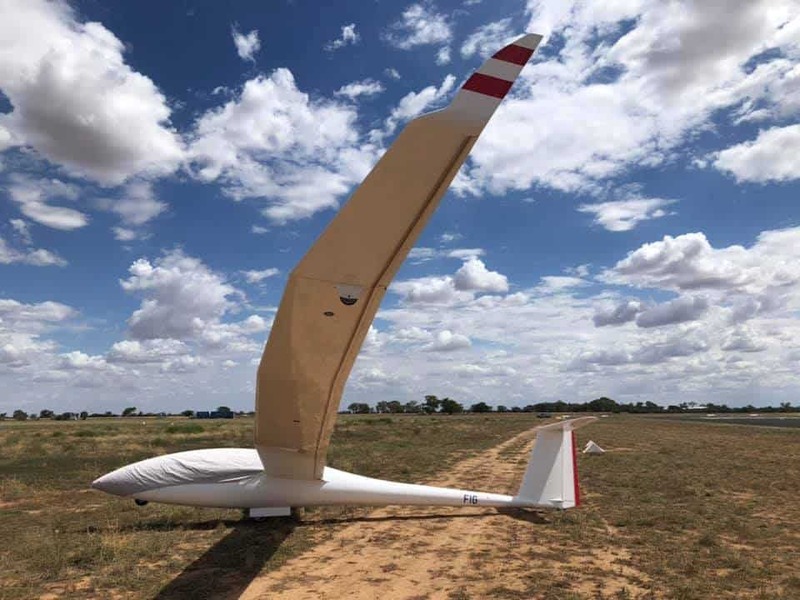 “Short flight to Narromine. Arrived.” by Keith flying from Bathurst normally a 900 km.drive. It was good to see that good old Harry with Allan ,[ strong team !] won the day;1000 points for them for a speed of 93 km./h over 308 km. Runners up….Andrew and Steven and Adam and Keith. Not there but they hoped to be there; Jeorgen and Lumpy from Tocumwal. 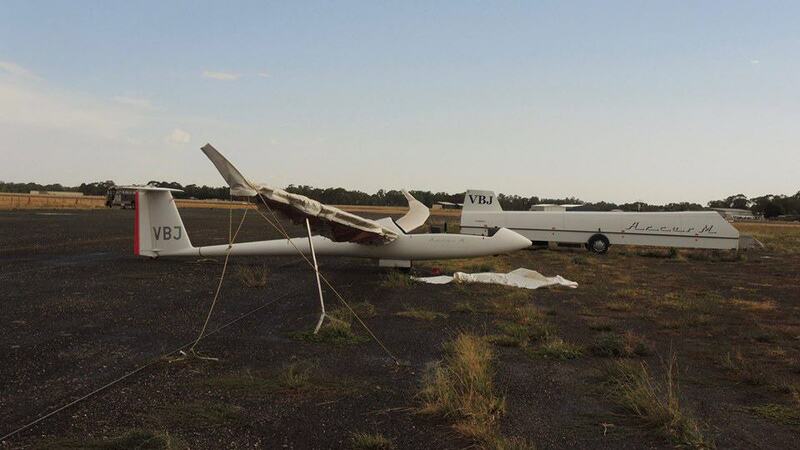 A super-cell ,not fore-casted ,ruined the canopy of the glider on February 3 at the airfield of Tocumwal. They call their ARCUS Julie, just to let you know. AND,…that bus ,[everybody who has been at Sportavia in the past has sit at this bus]is nearly unmovable… very heavy.So that was indeed a SUPER CELL!!! Day 2; with 407 km. With Tomas and ,so to see, his daughter, with Adam and Keith, Steven and Andrew and more. “This two seat flying is a lot of fun, Keith & I are getting along great. So much quality info coming from the back, it’s making my life a lot easier. Straight off tow we high tailed it towards TP1, a good decision as we had clear air, stayed high, relaxed & watched the fleet start. We started at 14:25, which was just inside our late start planned time. Two bits of luck for us today, taking an extra 1000′ after just passing the line, the other was 5kts from 1200′. The rest, we managed our flight & risk well. Andrew Du, in the China -ARCUS, had on both day’s “problems” with the height after the engine shutdown. On day 1 he got a warning on 2 the sign was red behind his name.Only 164 points for Andrew and his mate, a pity. Team China with Andrew and Team KDX with Miles Gore Brown and Tim Hood. A good day with GREAT speed from Adam and Keith .Their co-operation is working magic. Speed of 147.58 km./h . That was quite a bit faster than the runner’s up in the Duo Discus from Stewart and Jansen with 133.70 km./h.Father and son Edwards with 130.81 km./h did very well too. “Dusty day, but good fun, naturally. 558km racing task under 13,000′ CU. Keith & I held our nerve at the start, we noticed that the CU was getting closer, so we focused on a slow climb to maximize our start height at the latest possible time. 1st climb was 10kts & so was our final glide climb. Stayed out of trouble all day, despite the 30kt winds, thankfully the climbs were 6kts plus all day & smooth! Adam and Keith …happy chappies! Keith who enjoyed an other first place as well, added his comment and is learning a lot! The dust raised high as you can see on this picture from Keith. Day 4 with a smaller task;2.30 AAT. Andrew /Steven-day with a speed of 109 km./h. so to see a tough day …blue with a forecast to 5000 ft.with a max of 817 points. Good day for the Rendla’s as well as runner’s up.Adam and Keith were 3d. Keith shared this picture after an other good day. —Good to see the UK sends 4 ladies to the 2020 WWGC in Lake Keepit. Liz in 18m; Ayala in Standard; Claudia and Mel in Club Class and Team Captain Justin. Good luck to all. And,..believing in your self is VERY important as we heard from Adam earlier. Picture shared by Alexander Venema. ………. in Corowa they finished packing the containers and had a last check today and the estimated time of arrival in Rotterdam will be on the 6th of April to be sent then on trucks to Venlo, where they arrive on the 9th. They unpack on the 10th and then the European soaring season can start . On their last flying-day , last Monday, they still flew over 600 km. 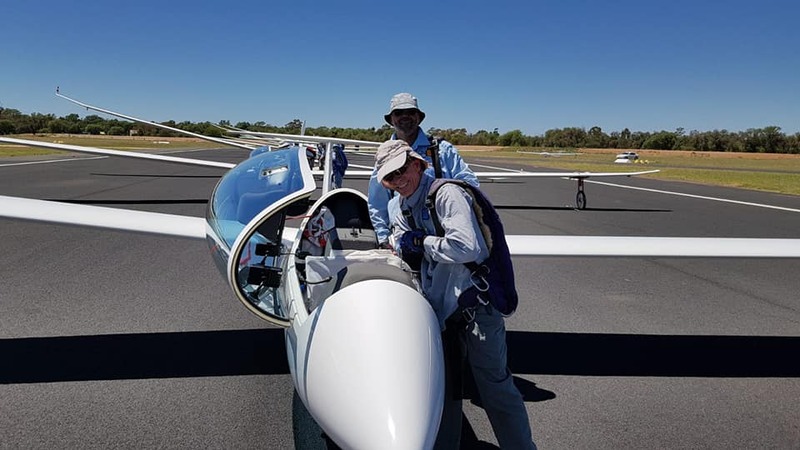 Best flight that day , on the world OLC, was from Tocumwal in an LS 4 with 593 km by German guest Joerg Nothmann .Today Joerg flew in the same LS 4 639 km. Good on him!!! 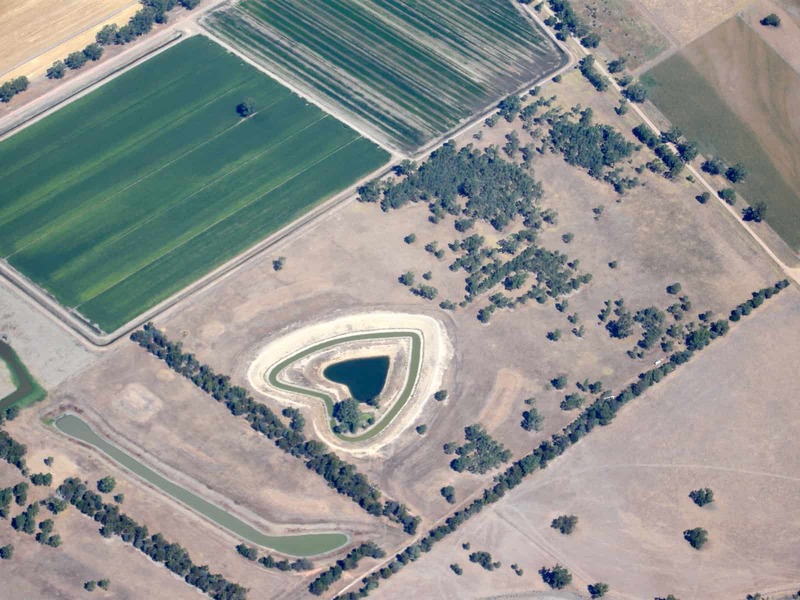 Not the best distance today on the Australian OLC as local Corowa pilot Bernie O’Donnell flew 783 km. … a declared 750! !…in his ASH 26 E.Well done, as it is pretty late in the season already. By the way, good old Kari Lappalainen is back in Toc as well. CU next week, this Sunday it will be 15 dgr. C. I sniff spring!! !